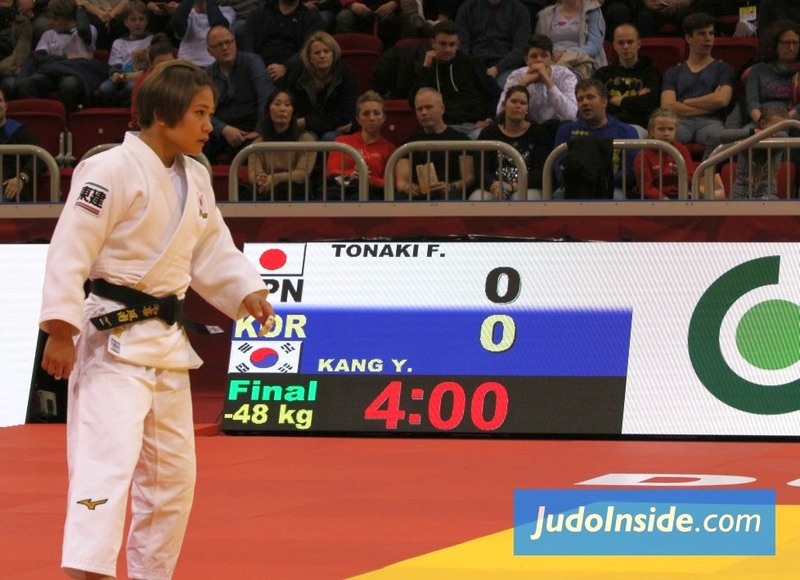 Double Olympic bronze medallist Mayra Aguiar of Brazil made a winning return to action as she defeated double European bronze medallist Natalie Powell of Great Britain to win U78kg gold. 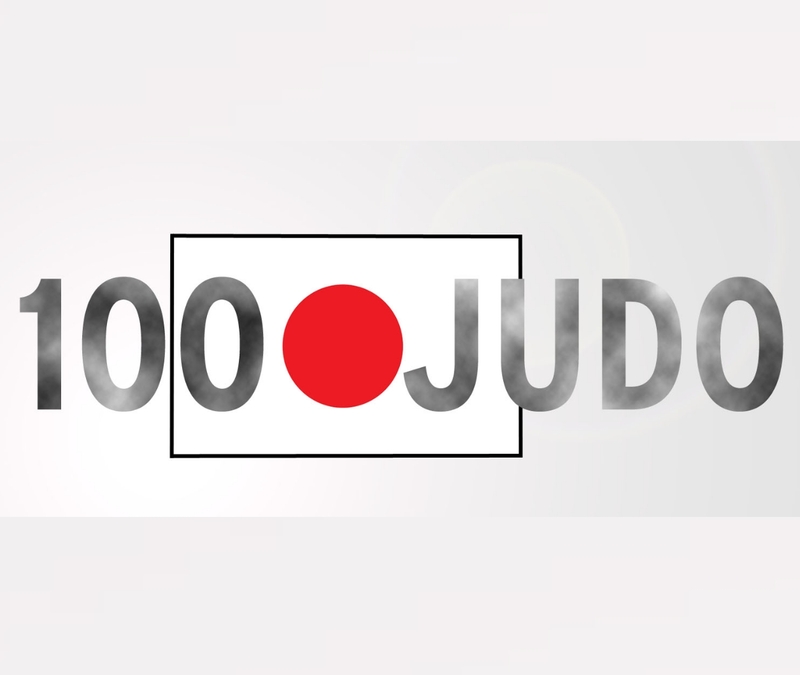 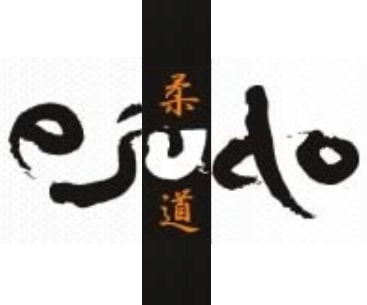 Former world champion Aguiar was making her first appearance on the IJF World Judo Tour since her home Olympics but it did not show as she caught Welsh judoka Powell with a textbook sasae-tsurikomi-ashi for ippon. 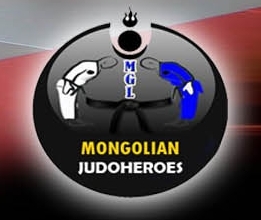 Aguiar will be delighted to get a win under her belt before the Worlds and could well renew acquaintances with Powell, whose silver moved her to 15 Grand Prix medals, in the latter stages in Budapest as both judoka could make a medal tilt on the grandest stage of all on the IJF circuit. 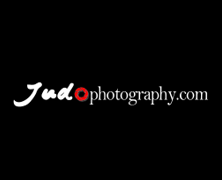 In the first semi-final Powell bested 19-year-old IJF World Judo Tour debutant Karen Leon (IJF) by ippon after holding the Pan American judoka for 20 seconds with a kesa-gatame for a routine win. 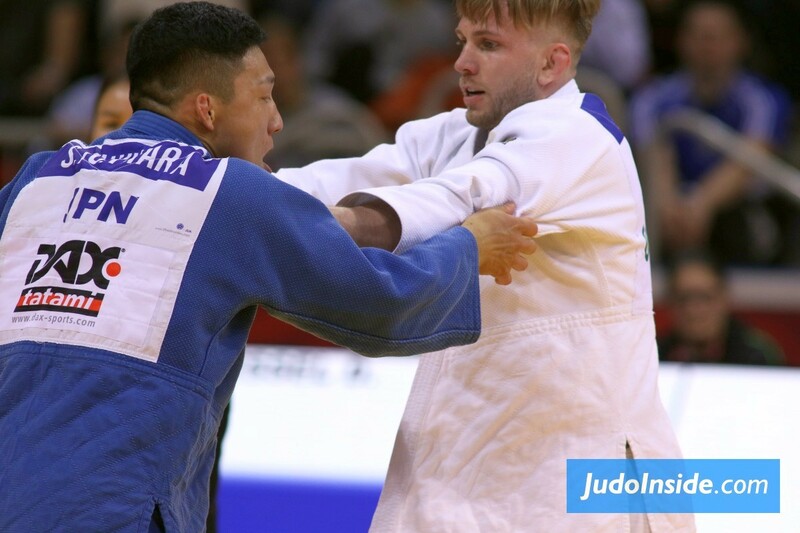 In the second semi-final Aguiar narrowly defeated Pan American Championships silver medallist Kaliema Antomarchi (CUB) by a waza-ari. 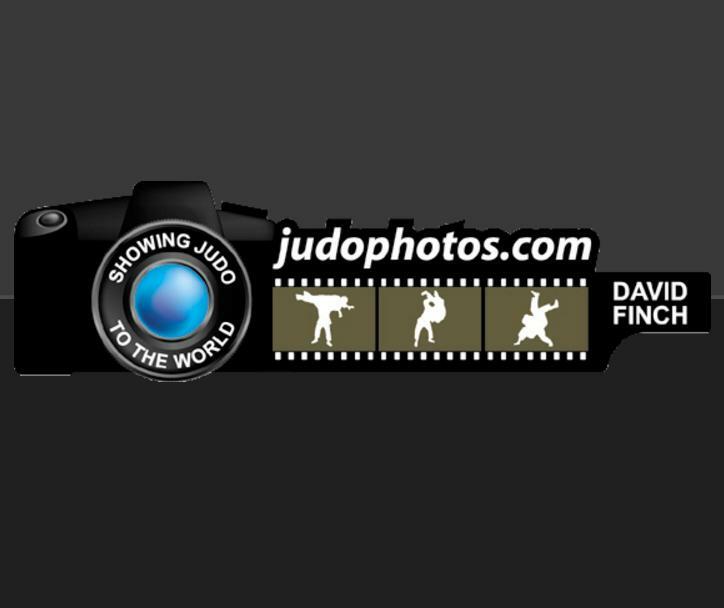 The first bronze medal was won by Antomarchi as Pan American Championships bronze medallist Liliana Cardenas (MEX) was ruled out of the contest through injury. 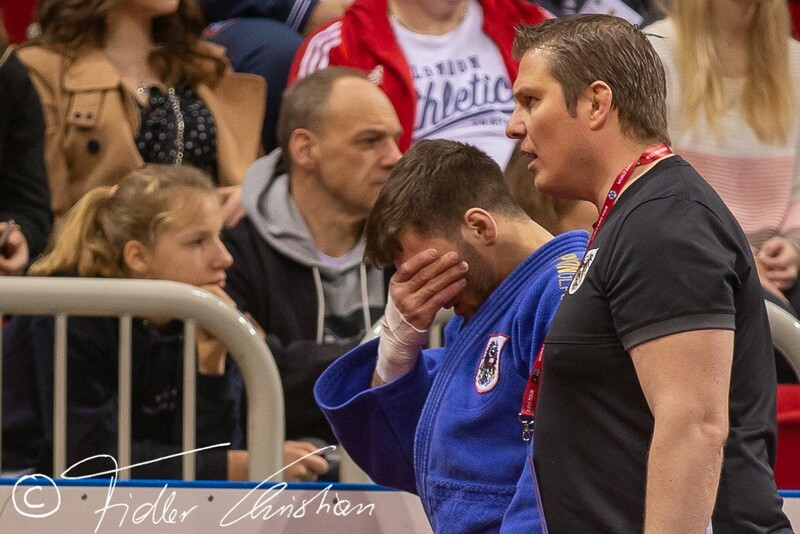 Antomarchi joined an IJF World Judo Tour medal podium for the first time and will hope that his this result is the start of a new chapter in her career having placed fifth at the Worlds and Grand Slams in previous Olympic cycles. 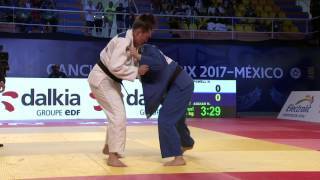 The second bronze medal contest was won by Leon who held down Chile Pan American Open silver medallist Jacqueline Usnayo (CHI) with a kesa-gatame for ippon. 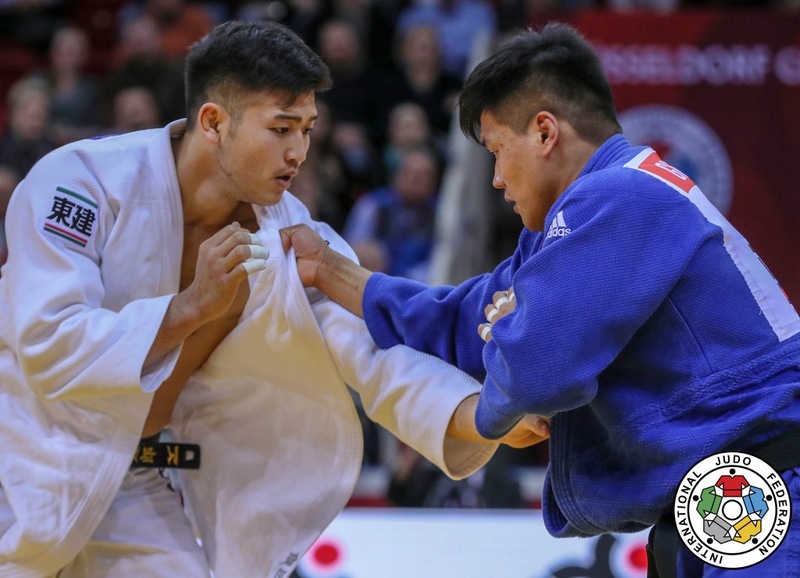 Teenager Leon completed a successful debut with a powerful display and will be a judoka to watch in the Tokyo 2020 Olympic cycle. 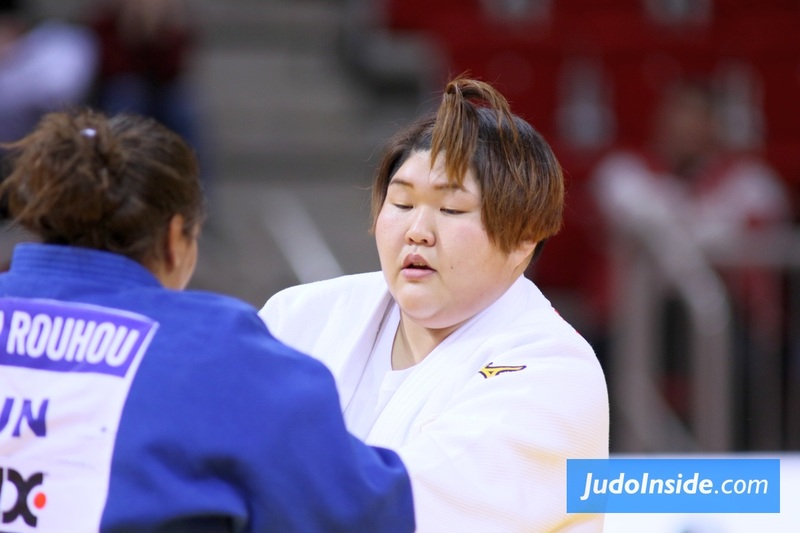 The youngster escaped a tate-shiho-gatame to turn her Chilean rival into a pin of her own in an excellent ne-waza exchange.